The future of Industry 4.0 is continuously evolving as existing technologies mature and new technologies emerge. Find out more in our guide. There is no doubt that Industry 4.0 is the next logical step for manufacturing. Industry 4.0 refers to the act of optimising manufacturing through digitisation and factory automation. Industry 4.0 is the next major advance in the manufacturing industry. 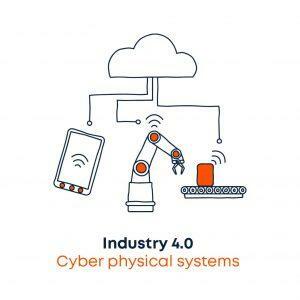 The Industry 4.0 meaning isn’t tied to any specific technology or software but is rather an all-encompassing term used for the integration of physical and cyber technology in industrial automation. 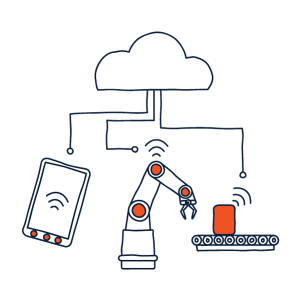 The ultimate goal of Industry 4.0 is the creation of smart factories that are optimised and integrated with emerging technologies or systems like machine learning, sensors, IoT (internet of things) and IIoT (industrial internet of things). These factories will be able to self-monitor and optimise themselves based on data gathered both from human operators as well as integrated sensors. The German institute of technology defines 4 design principles that accurately characterise how Industry 4.0 works as indicated below. Communication between human operators and machines is made easier by making use of a range of sensors and devices. These sensors can communicate directly with human operators via mobile phones or to a centralised computer system. Machines can also communicate directly to each other without any human involvement; these systems are known as M2M (machine to machine). The communication is often handled over IoT architecture. In a smart factory, a virtual copy of the factory is made via data gathered from sensors/devices. The virtual factory can store and display all the data related to specific machines and manufacturing processes. 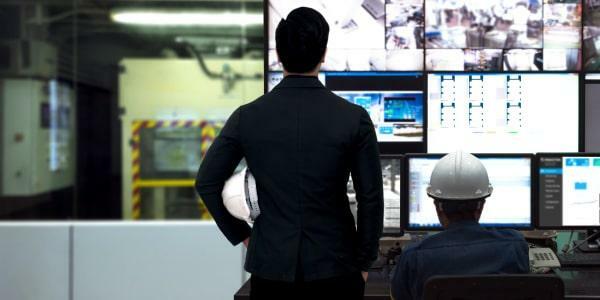 If the various systems detect failures, safety concerns or any anomalies, a human operator can be notified or the problem can be solved without human intervention. The more sensors integrated into the factory the more accurate the virtual model. Low-level decision making on the factory floor by a human operator is reduced or eliminated by using M2M communication. This allows the plant to self-configure in order to adapt to changes in manufacturing requirements. This is ideal in a manufacturing environment that is becoming more focused on producing individual, customer-specific configurations of products. In order for a smart factory to operate efficiently, data needs to be gathered and analysed in real time. This allows unmatched flexibility in the manufacturing process. For example, if a certain machine fails, the system can react by transferring the workload to another, under-utilised machine to reduce downtime. These decisions can be made before a human operator has even realised that a fault occurred. When did Industry 4.0 start? The Industry 4.0 origin can be traced back to 8 April 2013, the date when the final version of a German government memo was released. The memo was a strategy document that outlined the need to automate the manufacturing industry to remove human intervention where possible. In 2015 the German chancellor spoke of the concept at the World Economic Forum in Davos. Thereafter the term became more prevalent in industrial circles and the implementation thereof was beginning to be adopted by large industry players in an attempt to get ahead of the curve and realise the benefits of Industry 4.0 in their operations. 1. 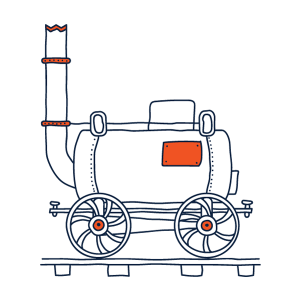 The first industrial revolution was characterised by the movement from an agricultural society to a more mechanised society that harnessed steam energy. 2. The second industrial revolution was characterised by the advent of the assembly line to efficiently produce large quantities of consumer goods for an ever-growing market. 3. The third industrial revolution was characterised by the use of computerised systems such as robotics. 4. Did Industry 4.0 start in the new millennium? The answer is yes and it is characterised by the integration of cyber-physical systems to optimise manufacturing. Due to the fine level of optimisation, resources are precisely allocated and tracked. This allows for highly efficient operations in which any inefficiencies are immediately evident and can be quickly handled. The higher efficiency of a smart factory will result in a higher level of customer satisfaction. Orders will arrive on time in good condition as there is little room for human error. Furthermore, a smart factory is able to produce a single, custom product just as easily as a batch of a million products. Reduced waste through improved quality control. Lower labour and operating costs. Data security is one of the most significant risks to smart factories. 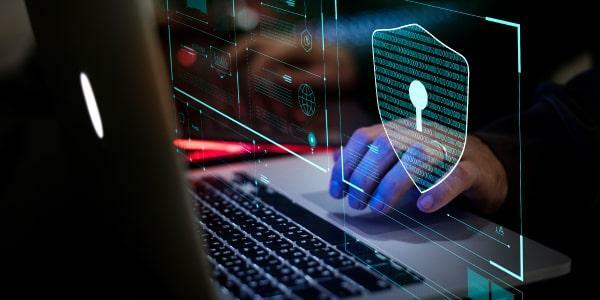 This risk is potentially even more detrimental to large corporations who rely on their intellectual property to maintain a market advantage. However, with Industry 4.0, even machinery is at risk of being damaged by security breaches. As factories evolve so will the jobs required to operate them. Unskilled labour will be replaced by robots, and even some administrative jobs will be lost as a result of AI and machine learning being implemented. 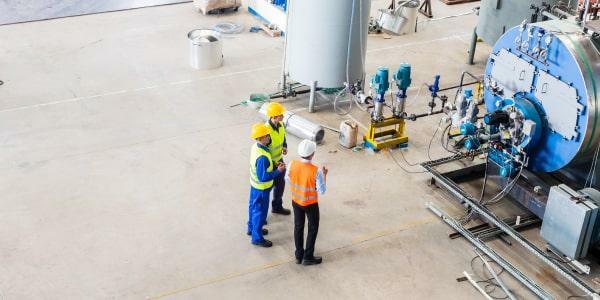 The sensors and equipment needed to maintain the functionality of a smart factory need to be robust, as any unexpected failure can result in significant downtime and financial loss. The capital investment required to transform a modern factory to a smart factory is significant. The benefits are well understood but the actual financial analyses of the economic benefits are not well published as yet. It would be very easy to over-automate and be worse off than when you started. Which sectors should embrace Industry 4.0? The energy industry can be broadly classified as industries which are involved with the technologies and systems that directly impact the production and distribution of energy. Industry 4.0 can be easily applied to the highly regulated oil and gas industry. This is due to the fact that many of the technologies required for full Industry 4.0 implementation are already used in this industry. All that is required for Industry 4.0 oil and gas is the merging and integration of all these technologies in a homogenous system. The medical industry is known for pushing the boundaries of material science, engineering and manufacturing. The increasing need for patient-specific medical devices and medication puts strain on traditional manufacturing techniques because medical products are rarely a one-size-fits-all affair. Certain products must be manufactured to integrate seamlessly with the patient’s body and still maintain extremely high levels of quality. The flexibility of Industry 4.0 enables the manufacture of highly customised devices without the hefty price tag that characterises these types of components, resulting in a new-age Industry 4.0 pharma. 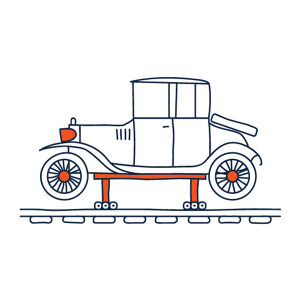 The transport industry is probably the fastest moving towards industry 4.0. A good example of this high pace of adoption is Tesla. With the rising popularity of electric vehicles, there is a complete shift in the traditional workflow of manufacturing a vehicle; factories need to be completely retooled to be able to efficiently make electric cars. This is what has kept some of the larger companies out of the EV race for so long. Tesla built their production line from the ground up and thus were able to incorporate Industry 4.0 transportation principles into their process seamlessly. 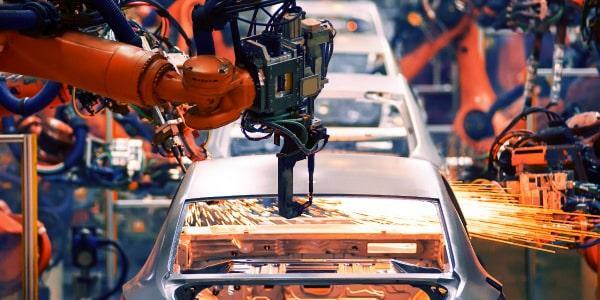 Many other automakers are following this example, so expect the auto industry to be at the forefront of Industry 4.0 development and implementation. The aerospace industry is highly complex as there are millions of components in a modern airliner. Each of these components is designed to a high level of precision and repeatability. The monitoring of these complex projects can benefit massively from Industry 4.0 technologies like big data, smart component tracking and smart inventory management systems. Industry 4.0 aerospace can dramatically improve manufacturing quality and repeatability. Industrial manufacturing refers to the fabrication of parts or products from raw materials using various manufacturing technologies and machinery. The impact of Industry 4.0 in manufacturing is very easily observed in an industrial manufacturing plant. A typical facility can benefit from Industry 4.0 manufacturing in a large number of ways. 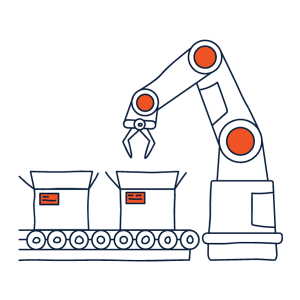 CNC machines can have raw materials loaded into them by robots. Once the parts are complete, these items can be removed from the CNC by the same robot, loaded onto automated carts which then take these parts to the next step in the manufacturing process. Manufacturing 4.0 technologies can decide which parts are the most in need upstream, and the CNC can be tasked with producing these parts until a predetermined condition is met.